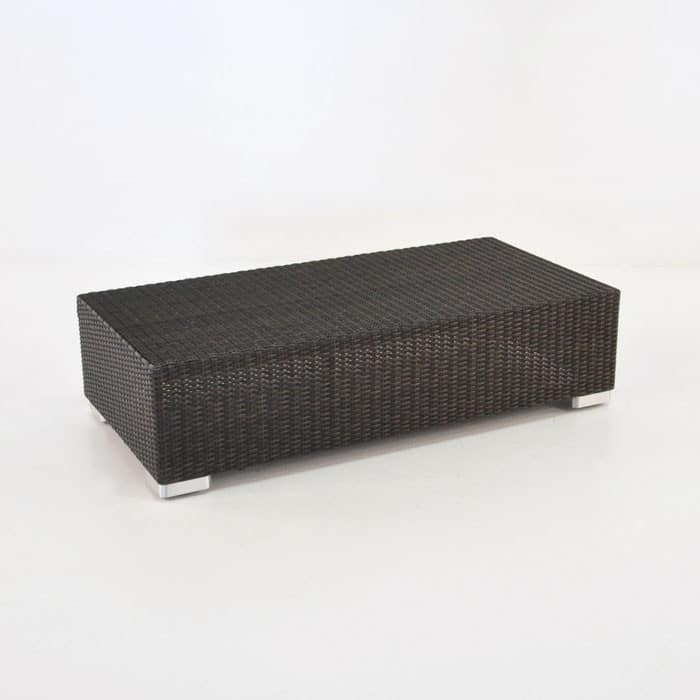 Sleek and low; the Paulo Rectangle Outdoor Wicker Coffee Table is an ideal piece for casual dining! Part of our best-selling Paulo Collection; the Paulo Rectangle Outdoor Wicker Coffee Table is an extremely attractive piece to suit many spaces. Whether part of a large sectional layout or next to a simple Loveseat; this table will add to making your space stylish and contemporary. The Paulo Collection is our most versatile wicker set yet! Featuring a Sofa, Loveseat and Club Chairs as well as sectional pieces: Paulo Center, Corner, Left and Right Arm Chairs, Ottoman and Square Coffee Table. This is a set that will configure to any space, vast or compact! Featuring smooth, clean lines; creating pieces that fit together beautifully and accented with powder coated aluminium feet; the Paulo Collection is a must for modern, attractive deep seating! Have a moderate patio you want to use for reclining and casual dining; purchase a Paulo Sofa with a Paulo Rectangular Coffee Table. Or want to design a space for larger parties; create a ‘C’ shape with 5 Paulo Center Pieces, 2 Corners and a Left and a Right Arm Chair, place a Paulo Rectangular Coffee Table in the middle and finish off the look with one of our gorgeous Antigua Cantilever Umbrellas; ideal for shade all day long! 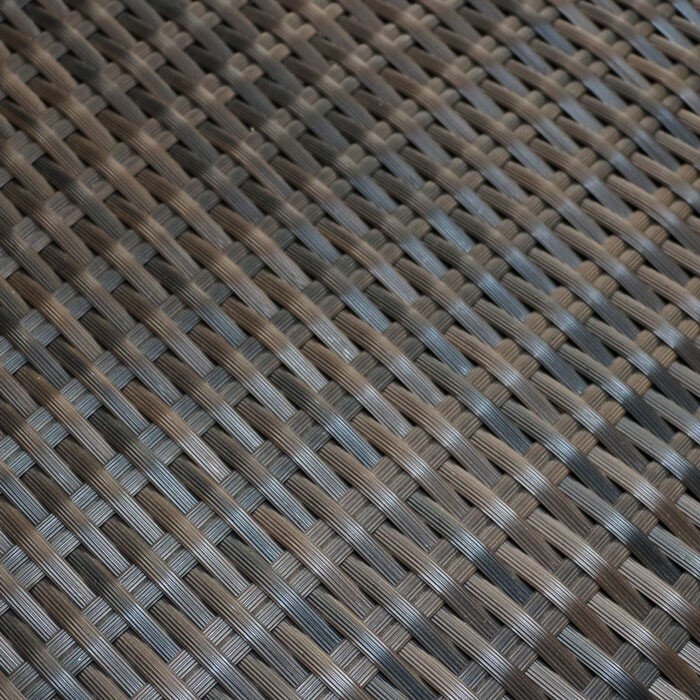 The Paulo Rectangle Outdoor Wicker Coffee Table is made from a powder coated aluminium frame and Viro® wicker; an all weather polyethylene synthetic fabric which has been UV treated and through dyed, ensuring you have a marine grade product you will love for years to come!